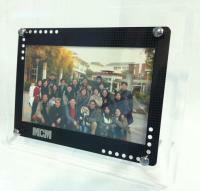 Photo Frame with LED Lighting(PF-LDE20) - Mcm Stamping Co., Ltd. The product gives photo more memorabilities film like the old days and effortlessly to bring back the moment of enjoyments. 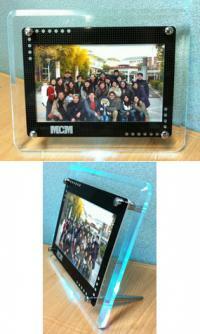 The frame look intensely light and handy, do not have heavy metal and complicated of body. The art line is simplify with elegant metallic coating on the primary frame and LED lighting give board in vary with the colors also to let image of picture stand out more and more.